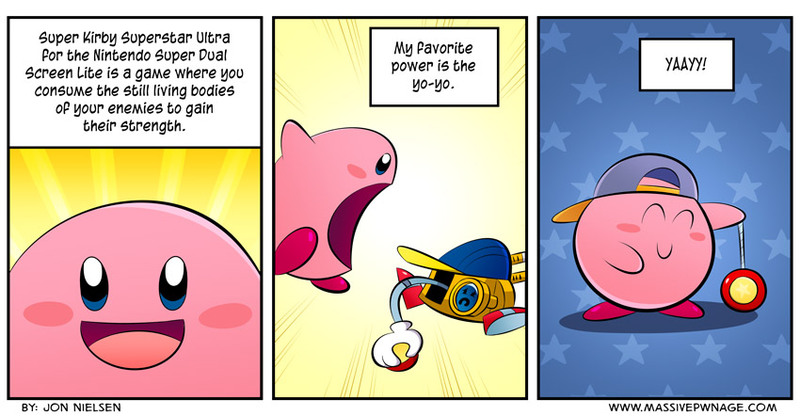 I don’t know why, but I always really liked the yo-yo power. The little robot guy you get it from is awesome, too. He’s a little robot guy! With a yo-yo! Just can’t beat that. Like, subscribe, favorite, share, shake, dance, and scowl if you like Kirby! He’s a cool bro. This entry was posted on Wednesday, July 3rd, 2013 at 12:00 am and is filed under Comics. You can follow any responses to this entry through the RSS 2.0 feed. Both comments and pings are currently closed. That Robot is just Radical!